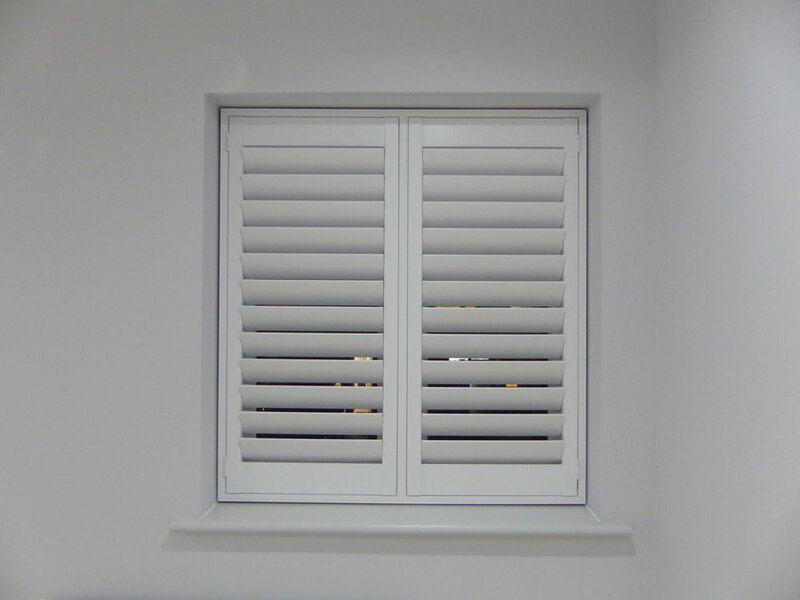 Tposts are a free design option, they will divide your shutter frame into sections this will help match the shutter panels to your window layout. 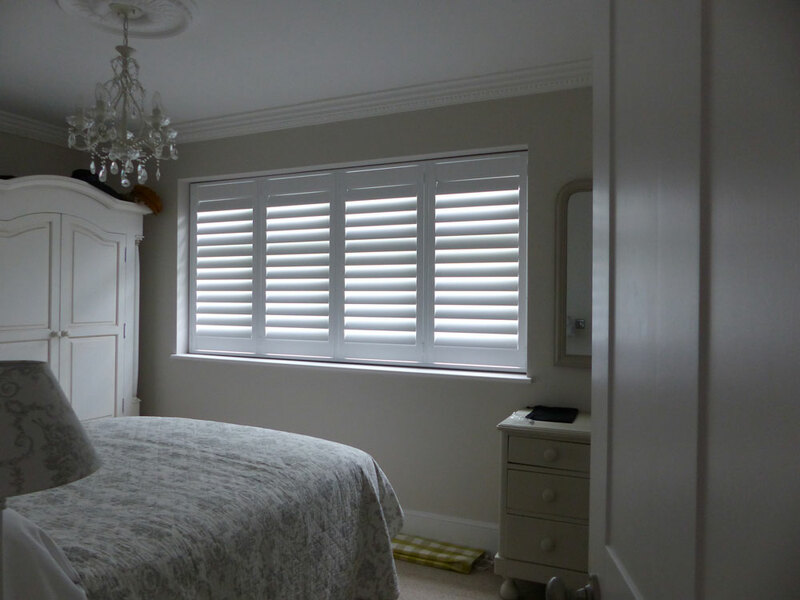 They help support shutters being installed in wide windows or openings and they can be used within all the frame types. Shutters can be hinged from the Tposts or they can be used as dividers. 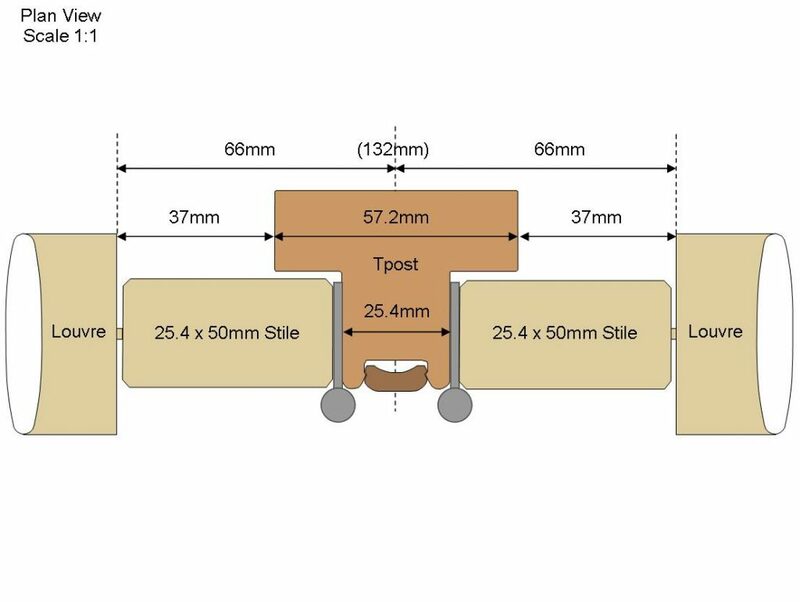 Tposts are 25.4mm wide at the front and 57.2mm wide at the back, they are shaped like a T as they create a light stop for each shutter. 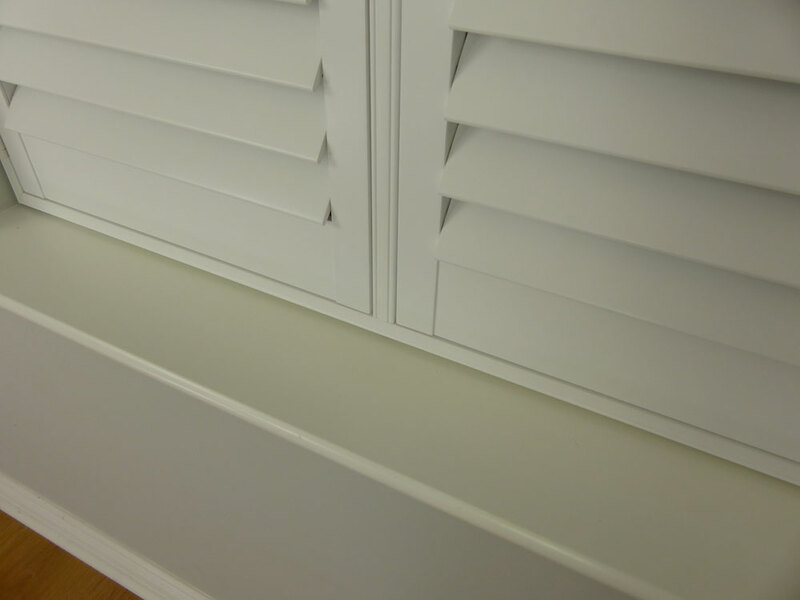 Wooden Tposts have an option of removable insert strips to hide the fixings, but the MDF and ABS Shutters have the traditional fixed insert design. TRAD T DESIGN – The traditional Tpost has a plain front with two beaded edges to match the popular beaded frames. There are thin 32mm Tposts used for Deco frame, the standard 46mm deep Tposts is used with most Z and L frames. 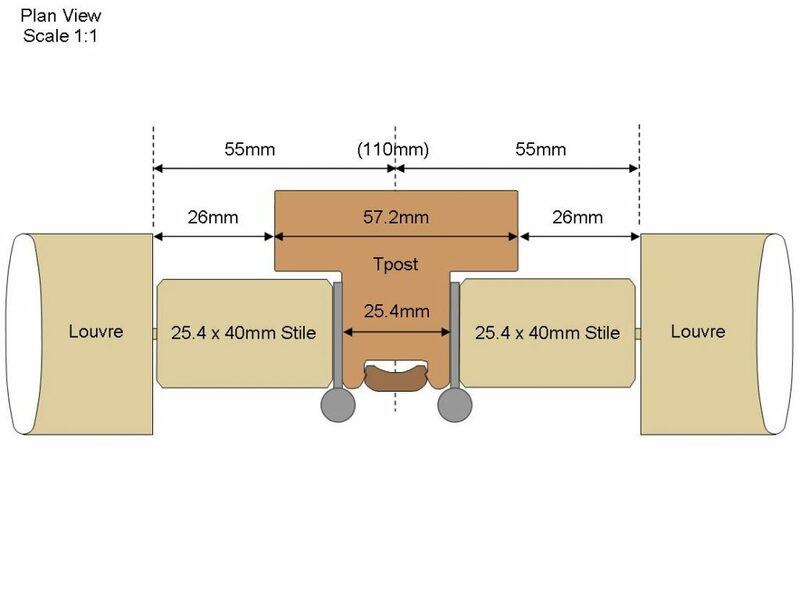 INSERT T DESIGN – The insert Tpost option comes in 3 sizes, 46mm, 60mm and 76mm to match the 3 L frame sizes. Tposts with inserts can be fixed through the front of the Tpost and are only available in wood. HORIZONTAL TPOSTS – Horizontal Tposts can be used for Top opening/Tier on Tier designs, infill’s or shaped designs they have a width limitation of 1219mm to be guaranteed. A horizontal Tpost will divide your shutters and will have magnets either side to keep the shutters closed. TPOST BUILDOUTS – It possible to order buildouts on your Tposts to match any frame buildouts, you can request this option in the notes box on the trade order form. FIXING – TPost’s are fitted into place as you assemble the frame. There are recessed sections in the top and bottom frame where the Tposts locate. They are adjustable left and right, just loosen the fixing screws, adjust the Tposts and re-tighten the screws to make any adjustments. FITTING DEDUCTION – As per the measuring guide, remember to deduct and fitting clearance from your Tposts when ordering. 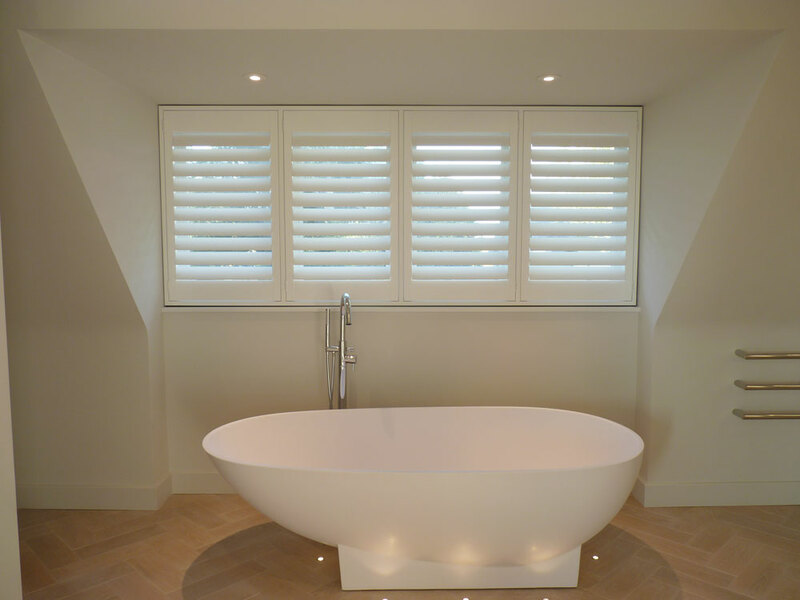 STRAIGHT UPVC HANDLES – When using Tposts that sit next to a straight UPVC window handle the handle can sit behind the side stile of a shutter ensuring the louvre blades operate to one side of the handle. This results in a neater fitting. Generally, a large 76mm L frame is required for this option. Handles are easily changed for straight handles if they are cranked, which is worth doing. Your window handle should fit within the 26mm or 37mm area between the Tpost and louvre blades. View the technical drawings for more info.